This was a great year for the App Store. 2017 was a great year for Apple as a whole, and the App Store was no different. From messaging apps to music-generating tools to a smart AI assistant, Apple and various third-party developers unleashed an impressive array of new software designed to get us tapping, swiping and — most importantly — downloading. The best iOS apps make your life easier and/or more fun. For this roundup, we left off the established giants (you won’t find Instagram here, no matter how good a year it had). We carefully combed through our home screens to pick out the best iOS apps of 2017. Nebo is the best iOS notes app for Apple Pencil. Apple’s Notes apps got supercharged with iOS 11, but Apple Pencil note-taking app still has a lot to offer. One big advantage is the ability to convert your longhand scrawls into actual, editable text, which can be copied and pasted anywhere. From its uncanny handwriting recognition to its intuitive interface, this is a great tool that finally delivers on a promise long-time fans have been waiting on since the days of the Newton MessagePad. Plus, it can do all your regular note-taking stuff, too! Google Assistant is here to battle Siri on its home turf. Google’s answer to Siri finally arrived on iOS this year to do battle on the Apple assistant’s home turf. Google Assistant can make table reservations, order takeaway, compose your shopping list, fetch information, answer questions, and find places nearby. It also has the ability to interact with and control other smart devices around your home. 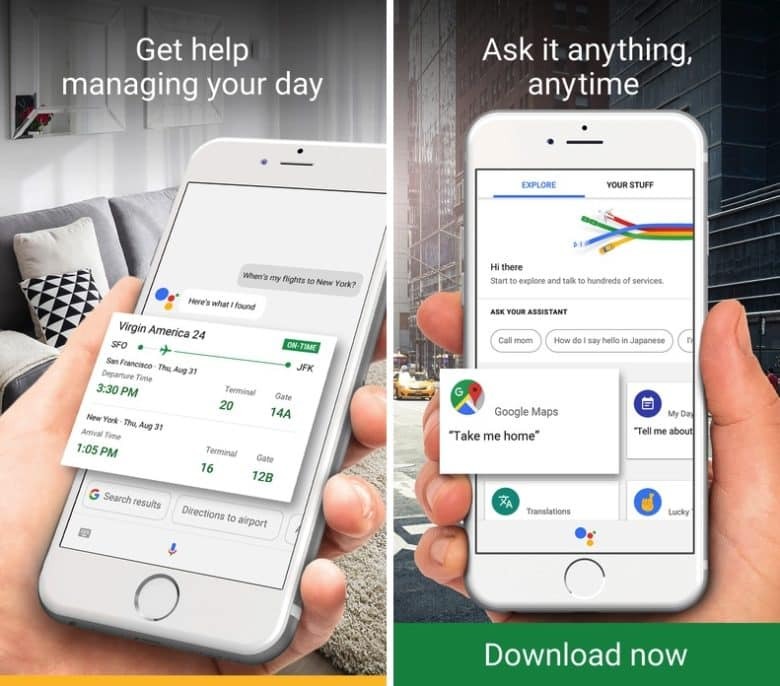 On paper, it may seem unnecessary to download an app that basically offers the same functionality as Siri — especially since you have to access Google Assistant by opening an app, rather than using your voice. However, as anyone who has used the Google Home smart speaker will know, Google does a lot of these things better than Apple. Google Assistant also offers some nifty additional features, most notably Google Lens — which lets you translate foreign text, identify signs and objects, and more. You can even point it at the sticker on the back of your router to grab your Wi-Fi password. 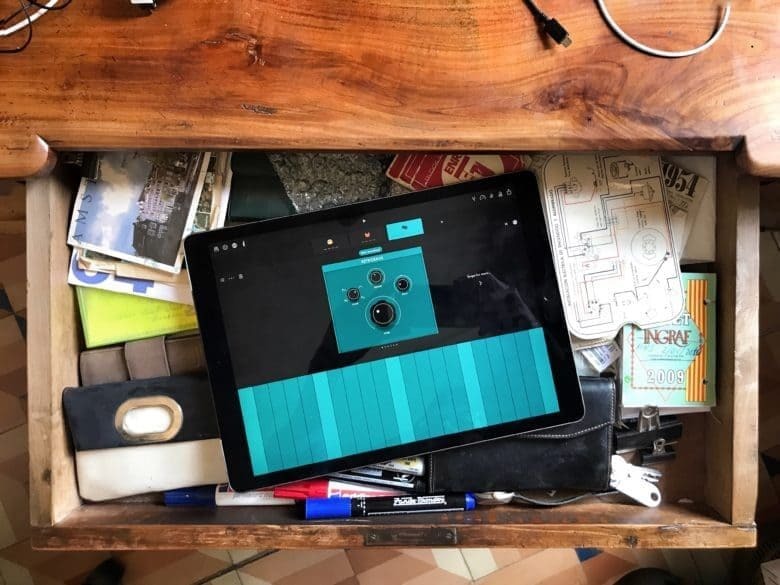 Groovebox is a music-making app for iPhone and iPad that’s both simple enough to let you start creating from the moment you launch it, and in-depth enough that you’ll be able to keep playing with it for a while. The big hook (no pun intended) is the ability to create your own bass lines, melodies and beats, compared with other apps that just let you string together existing ones in new combinations. Groovebox comes with a bass synth, poly synth and drum machine as standard — although you can expand this selection with reasonably priced in-app purchases. Seeing AI is an accessibility app specifically designed for people with visual impairments. But that doesn’t mean it’s not worth checking out if you don’t fall into that group. As its name suggests, Seeing AI uses artificial intelligence to describe the world around you. First demonstrated at Microsoft’s Build conference back in March, it allows users to obtain spoken information about the objects and people around them. To use it, simply point your camera at something and Seeing AI will describe it — whether that means identifying by name people you’ve met before, guessing the approximate age and emotion of strangers, recognizing U.S. currency, or scanning and reading documents. It’s one of the those amazing AI implementations that reminds you just how far the field has advanced in the past few years — and how it’s got the opportunity to profoundly improve life for everyone. At least from Apple’s perspective, augmented reality and its new ARKit platform was one of the big stories of 2017. One of the first retailers to jump on it was Ikea, whose Place app lets users have a go at positioning furniture from the company’s catalog in their own home with impressive 3D scaling and millimeter-accurate positioning. Already the app boasts upward of 2,000 different products that customers can test. Going forward, the plan is for Ikea to use the app to debut new products before they arrive in stores. While there are a whole lot of AR apps worth checking out, this was one of the year’s most heavily publicized. This popular lip-syncing app got Apple Music integration this year. 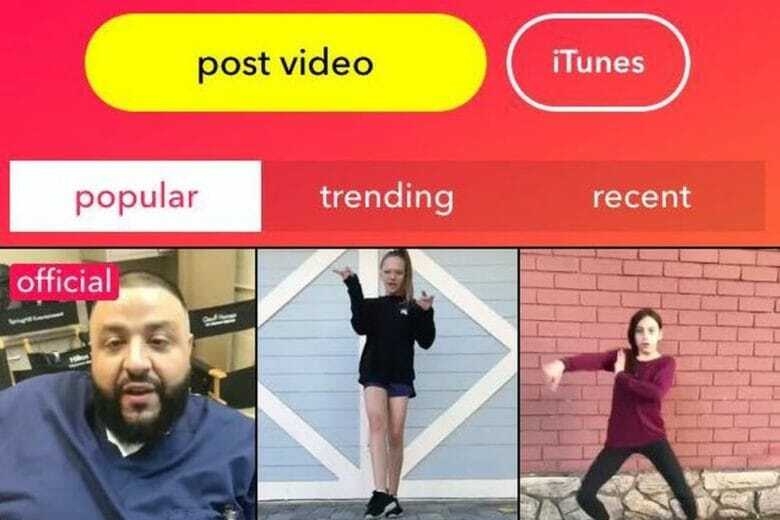 Musical.ly has actually been around for a few years, but this year it got a big boost when it teamed up with Apple. A popular music-themed app for video creation, messaging and live broadcasting, it’s a fun lip-syncing tool that’s sure to appeal to any fans of shows like Lip Sync Battle. It’s predominantly aimed at younger tween and teen audiences, but adults can get plenty of fun out of it, too. As part of the deal, Apple became a supplier of songs for the app — with Apple Music subscribers able to listen to full songs, while non-subscribers can get brief clips. Like having a virtual photographer stroking your ego. Google launched a handful of experimental — or “appsperimental” — photo apps late this year. One of the best is Selfissimo!, an automatic selfie app that makes you feel like a model in a fashion shoot — complete with striking poses and a photographer shouting compliments (“Fantastic!” “Magnificent!”) at you. The app watches your movements. When it detects that you stopped moving, it snaps a picture. Shift to another pose and the process repeats. It even encourages your voguing by flashing words onto the screen every once in a while, although you can turn these off in the Settings menu if you don’t want them. Kind of lightweight? Sure. Plenty of fun? You bet! Grammarly’s new iOS keyboard will ensure all your text messages have the right grammar, spelling and punctuation. Considering how much of our communication we now carry out by typing messages on our mobile devices, making sure that they read as clearly as possible is kind of a priority. Fortunately, Grammarly’s third-party iOS keyboard promises to help in that department. 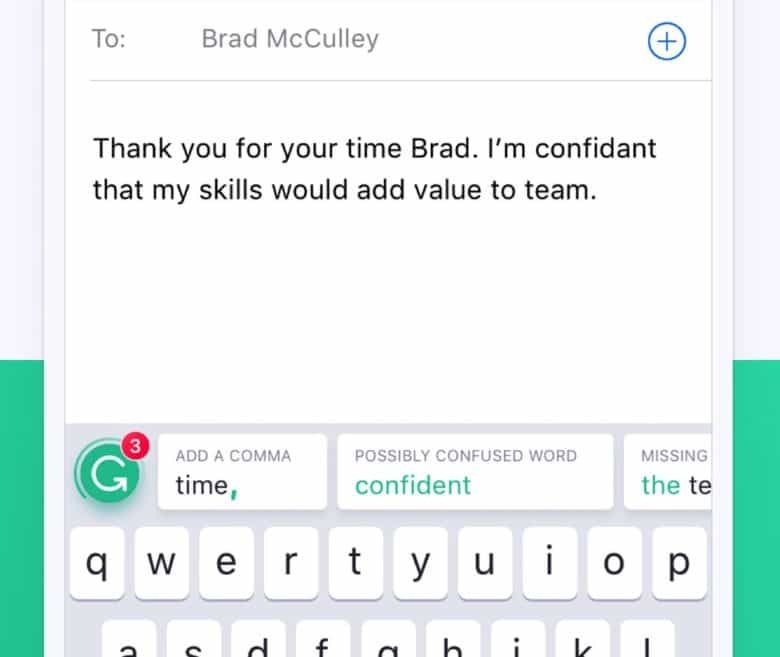 It proofreads your text in any app that uses a keyboard, helping you fix grammar, spelling and punctuation errors. Way better than a simple spellchecker, the Grammarly Keyboard should prove useful to just about everyone. Google Opinion Rewards pays real cash for your opinions. Want to earn a few extra bucks for virtually no work? 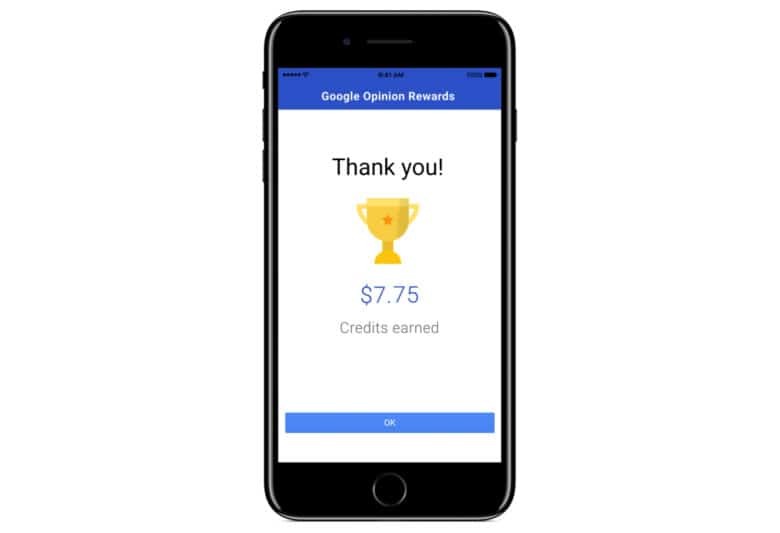 This year, Google debuted its Google Opinion Rewards app on iOS, offering users the chance to earn real cash simply by answering surveys. Google sends out more than 3 million surveys every week from a range of companies. You get the chance to answer some of them and are paid up to $1 per time for your efforts. Nearly all surveys take less than 30 seconds to answer, and are based on a range of topics from hit TV shows to retail stores you visit regularly. Cash is then paid directly into your PayPal account for you to spend on whatever you would like. 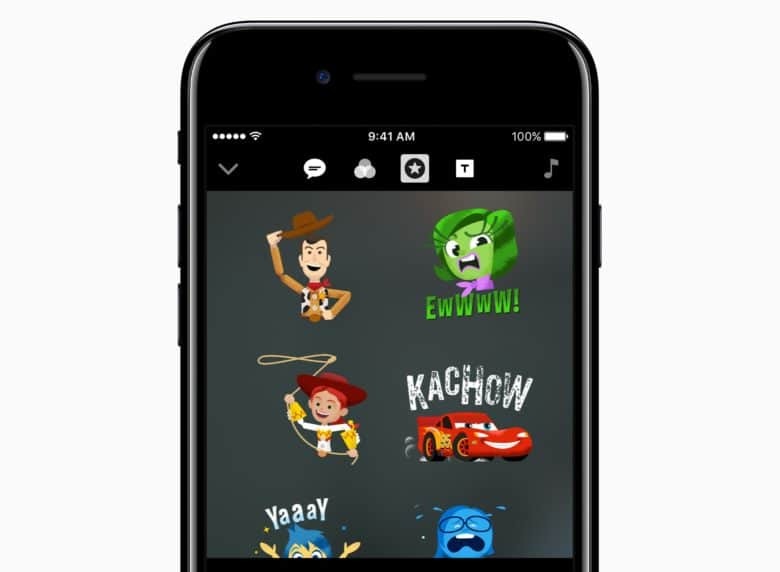 The Apple Clips app offers users the ability to make it fun and easy to create and share “expressive videos” on their iPhone and iPads. The social app works by combining video clips, photos and music into videos that can be shared with friends through the Messages app (or using Instagram, Facebook and other popular social networks). Among its features: the ability to create what Apple calls “Live Titles,” which refers to technology for generating animated captions and titles using nothing more than a user’s voice. Effects that can be created using Live Titles include comic book filters, speech bubbles, shapes and full-screen animated posters. What are your favorite iOS apps of 2017? Those are our favorite iOS apps of 2017. But what are yours? Tell us what iPhone and iPad apps you liked this year, and why you liked them, in the comments below. Posted in: Reviews, Top stories Tagged: 2017 Year in Review, App Store, Apple Clips, Google Assistant, Google Opinion Rewards, Grammarly Keyboard, Groovebox, IKEA Place, iOS, Musical.ly, MyScript Nebo, Seeing AI, Selfissimo!